The big advantage of m43 is that everything can be made smaller than with aps-c and certainly a lot smaller than with full frame. If small is a problem then I would not suggest going with the GH3 which is quite big for an m43 camera but going with a Canon or Nikon or perhaps even Sony dslr. Glass for a larger camera is not typically more expensive than for m43. It is all a matter of supply and demand and our free economy dictating prices. Everything is expensive but just cheap enough that people still buy it. It has nothing to do with real value or manufacturing cost. 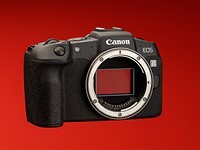 The still larger markets for dslr cameras and the competition between the brands keeps the prices relatively low. In m43 this is much less the case, hence prices that are sometimes appear insane.